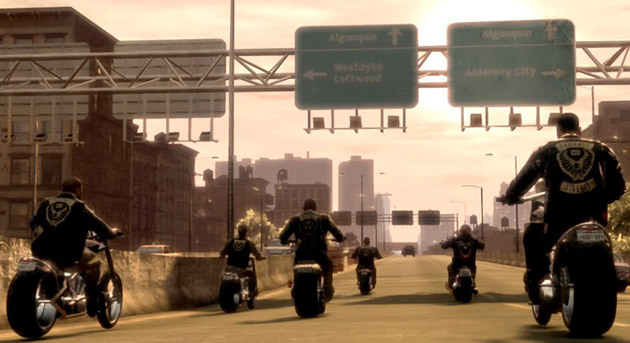 Just a reminder, sports fans, that Rockstar has released Grand Theft Auto: The Lost and Damned DLC for the Xbox 360 . It’s available on Xbox Live right now, so if you’re the office (or in class) be sure to queue up the download from your browser. Comedian Bill Burr plays a prominent role in the game, which is absolutely tremendous. Lazlow was on Opie and Anthony this morning talking about the game, so if you missed it be sure to catch the replay later on today. As I’ve said in the past, I have zero interest in the whole biker culture, but Lazlow did a bang-up job of selling the game. Lazlow was also hounded as to why the DLC was only being produced for the Xbox 360, and he reiterated that Microsoft threw Rockstar a bunch of money to develop the game. Complaints, of course, can be personally sent Lazlow, since, you know, he makes all the business decisions at Rockstar.